1. Support for LCD monitor LM-V1*1,2 (separately sold) has been added. *1 The LA-V1 LCD Attachment Unit cannot be used to attach the LM-V1 to the EOS C300 Mark II / EOS C300 Mark II PL cameras. 3rd party mounting options are required to use the monitor on this model camera. *2 When using the LM-V1 with the separately-sold WFT-E6 or WFT-E8 Wireless File Transmitter and GP-E1 GPS Receiver, please be sure to maintain space between the two accessories. 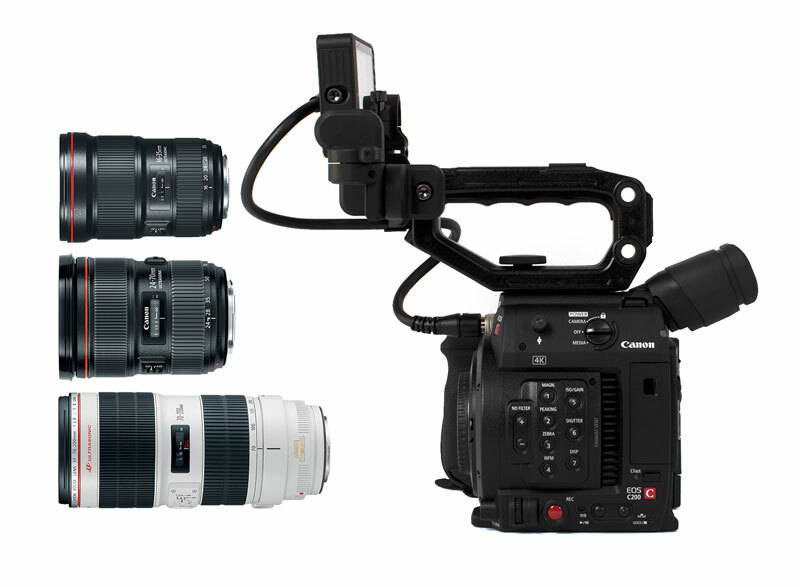 The Canon C300 Mark II qualifies for a promotional 24 month 0% financing from Canon. – You cannot perform the firmware update using CFast 2.0 cards. Please use a commercially available SD / SDHC / SDXC memory card that is 64MB or more for the firmware update. – Firmware version 1.1.0.1.00 is for updating Cinema EOS C300 Mark II cameras running firmware version 1.0.0.1.00 – 1.0.9.1.00. If your camera’s firmware is already version 1.1.0.1.00, it is not necessary to update the firmware. Once the camera is updated to the latest version, it cannot be restored to a previous version. – Please note that after updating the camera to Firmware Version 1.0.6.1.00 or later, if you wish to continue using CFast (VPG130) cards that were used before the firmware update, you will need to format the CFast cards with the camera. After the firmware update, and before formatting the CFast cards with the camera, make sure to back up the clips saved to the CFast cards. – For further information, please refer to the latest version of the unit’s Instruction Manual that is released with the firmware update. After the Firmware update has been performed, the camera’s menu and custom picture settings will be reset. It is recommended that users save their menu and custom picture settings as settings data to an SD card, separate from the one that will be used to carry out the update, before starting update operations. This saved data can be loaded into the camera and the settings can be changed after the update has been completed. For further information on this, please refer to the section in the unit’s Instruction Manual titled “Saving and Loading Camera Settings”. The downloaded folder contains the firmware (file name: VLB1.FIM / file size: 43,843,616 bytes), and instructions on the firmware update procedures (a PDF file in five languages: Japanese, English, French, Spanish and Simplified Chinese). Before starting the firmware update operations, please be sure to carefully confirm your understanding of these instructions. We have a new shipment of Canon Compact-Servo 70-200mm lenses tracking to arrive on Friday. The Compact-Servo lenses have a $300 Instant Rebate + Free ZSG-C10 Grip $474.05 promos running. The 0% 24 Month or 1.99% 36 Month Lease Promos can be combined with the Rebates.